Marsham mill was a large self winding postmill with a three storey roundhouse. The mill had patent sails, an iron shaft and a fantail. The mill house was adjacent and a bakehouse was run from the premises. To be SOLD a POST WINDMILL situate in Marsham Field near Aylsham in Norfolk, erected about twelve months since. For Particulars enqiuire of Mr. George Hunt Holley, in Aylsham aforesaid. William Elvin's cousin James, ran Swanton Abbot postmill until he became insolvent in 1831. William Elvin was born in 1790 and married Hannah on 9th August 1817 at Marsham. Hannah died on 14th August 1838 and William died in 1858. St. Ann's Foundry, King St. Norwich, Jan 13/57. Sir, I will undertake to Cast a Wind Shaft 27Cwt. to turn & fit Tail gudgeon finding all bolts for same ready for fixing for the sum of Nineteen pounds. To be Sold by Auction by Mr. G.E. 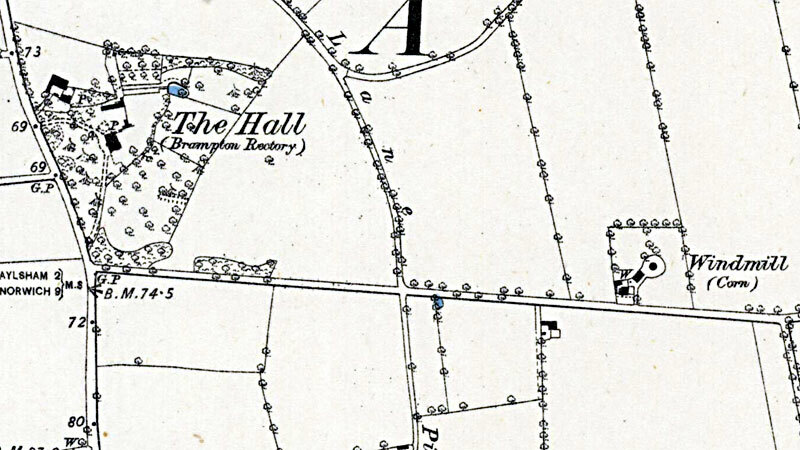 BURRELL, on Tuesday 25 June 1861 at 3 for 4 o'c at the Black Boys Inn, Aylsham in one lot. An excellent POST WINDMILL with patent Sails & Iron Shaft with a spacious Round House containing three floors. Also a Dwelling House, Bake Office, small Barn Stable, & outbuildings, Garden & Pieces of Land containing with the site of the buildings 2 acres. 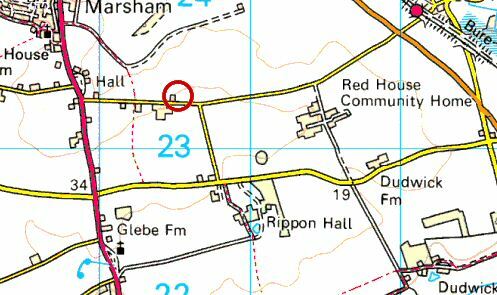 Partly Freehold & partly Copyhold of the Manor of Hevingham with Marsham. The above Property is now in the occupation of Mr. David ELWIN. Possession will be given on the 11th October, next. Also to the Auctioneer, Aylsham or to Mr. FORSTER, Solr. Aylsham. To be let from 11 October 1861. The Windmill at Marsham with Bake Office, a good Dwelling House and Outbuildings and about 2 acres of Land. Apply to Mr. HOWLETT, Marsham near Norwich. To Millers, Merchants, Bakers etc. G. E. BURRELL on Wednesday 9 October 1861, all the Household Furniture Effects in Bake Office & Mill, Horses, Carts & other effects of Mr. David ELVEN who has sold his Mill & Premises & is leaving the country, full particulars of which will appear in Catalogues in due time. A powerful self winding POST WINDMILL with Brick Round House standing in a most commanding position with Bake Office & well built Residence. Particulars of Vendor's Solicitor T. FORSTER Esq. or of the Auctioneers, Wood Dalling, Guestwick & Norwich. Lot 4. 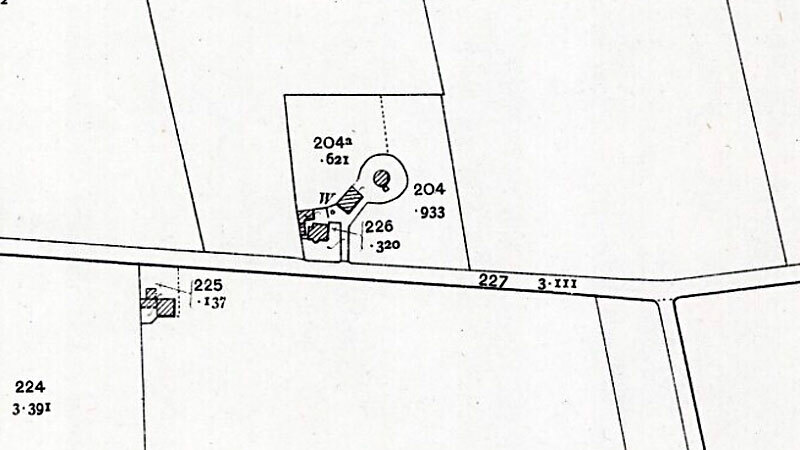 A large self-winding POST WINDMILL with Brick Round house detached Bake Office & Premises & capital Dwelling House in the occupation of Mr. SHREEVE & his undertenant Mr. PYE. Transfer of Business in the Milling & Corn Trades. The Executors of the late George SHREEVE beg to inform the Public that the Business for many years conducted on their behalf by Mr. Thomas SHREEVE, as Manager at Marsham & Aylsham, will on and after the 5th day of April instant, be carried only the said Thomas SHREEVE on his own account, as Proprietor, for whom they solicit a continuance of the support so generously accorded to them during the past 21 years. Dated this 2nd April 1880. It would appear that Thomas Shreeve went on to run the much larger Buxton_Mill and was there by at least 1890. Thomas' nephew Charles Robert Shreeve (1854-1932) took over at Bolwick_mill and Marsham postmill and was possibly still there when his farming business became insolvent in 1897. Robert Thomas Melton milled at Marsham postmill and when it was demolished c.1900, he moved to Bolwick watermill, taking over from his father. When that ceased, he moved back to the windmill site and ran a steam engine with a single pair of stones. Robert Thomas Melton's grandson, Robert still farms in Marsham today (2002). A cousin has a decanter with a windmill etched on to it, attached, with W & HE. We assumed it was a tower mill, but William & David Elvin were at Marsham post mill. A cousin of theirs (we also assume as stated in censuses) was James Elvin at Swanton_Abbott_post_mill. But the earliest of our ancestors were Jonathan & Ann Elvin of Swanton Abbott, whose tower_mill is ‘about 1845' - too late for any Elvins. The decanter also has W&HE for William (1790-1858) & Hannah (1792/3-1838) Elvin. who married in 1817. These dates suggest the decanter is between 1817 and 1838, when William was definitely at Marsham! William's father was David, son of Jonathan. In c.1841, he is with William, his son also David and James! William & James both ‘Miller'; David senior ‘Independant aged 80' and young David ‘Apprentice aged 15.' Hannah had died but Eliza Boult, Hannah's older sister was ‘housekeeper'. William then married her that July.